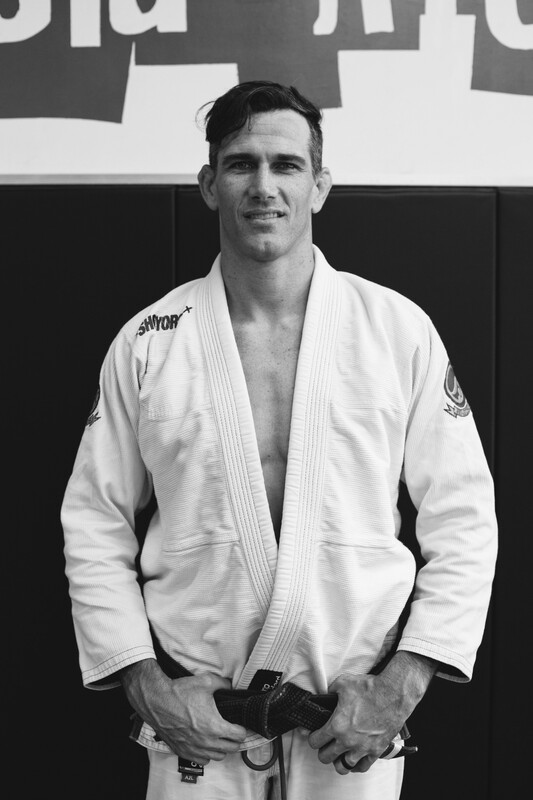 Q: When did realize you wanted to be a Jiu Jitsu Athlete/Teacher? I realized almost right away. I really fell in love with the art and wanted to share it with as many people as possible. So that would have been August or September 2001. Q: Who or what are your biggest influences or heros? My parents. They always encouraged me to follow my heart and never deterred me from taking risks. Q: Do you have a morning or night routine that has made your life better? Most of my life is a pretty strict routine. In the am I get up at 530 or 6 brush my teeth with PRNCPLS tooth paste while I take a cold shower. I have a glass of lemon water. Then I walk and feed my dog. After that I go to practice ashtanga yoga for about an hour and 40 min. Make a smoothie and eat some oatmeal while I take care of email and things for the school. Hang out with my wife and son for a bit then off to teach and train at Clockwork. Q: There is a billboard and you can put any message on it for the world to see, what do you put on it? You will die one day. Do stuff before that day comes. Q: When you think of the word successful, who is the first person that comes to mind and why? My dad. He’s happy, healthy, has a great family, and loves adventure. Q: What one PRNCPL do you abide that is most important to you? Q: For what in your life do you feel most grateful? Q: Your house, containing everything you own, catches fire. After saving your loved ones and pets, you have time to safely make a final dash to save any one item. What would it be? Why? I wouldn’t go back in. Q: What or who motivates you the most? I’m a new father so my son really motivates me. To be able to provide from him and be a great example is really a huge motivator. Prolly Tony Robbins. He’s had a profound effect on me and my life.